Reforming First Nations education should come ahead of putting more federal funds into the system, Aboriginal Affairs Minister Bernard Valcourt says ahead of Parliament's return next week. 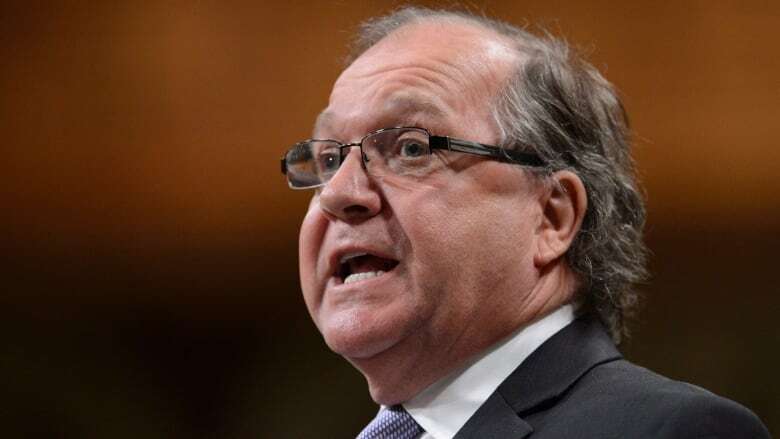 Reforming First Nations education is key to closing the learning gap between aboriginal and non-aboriginal students and should come ahead of throwing more federal funding into the system, Aboriginal Affairs Minister Bernard Valcourt says ahead of Parliament's return next week. While the federal government is poised to introduce a First Nations education act this fall that it would like to see implemented by September 2014, the Assembly of First Nations along with leaders in B.C. have rejected the proposed draft legislation. In an interview with CBC News on Tuesday, a week before Parliament resumes, Valcourt cautioned that the federal government won't provide additional funding for First Nations education until reform is passed and a new system is in place. "One thing I can guarantee: Some people they call for funding, funding, funding. Well, funding will not replace reform." "Reform will take place, funding will follow. But funding will not replace reform because the current system is failing these kids," Valcourt said. On Monday, Shawn Atleo, the national chief for the Assembly of First Nations, outlined three conditions the federal government must meet to achieve reform — notably "fair" and "sustainable" funding. "This means ending arbitrary caps and delays that characterize the current failures of the system," Atleo told reporters during a news conference in Ottawa. However, when asked by CBC News whether the proposed draft legislation currently meets the conditions as outlined by Atleo, the minister of aboriginal affairs said "absolutely." "All of the points that he [Atleo] made are covered, and that's the intent of what we want to propose by way of legislation," Valcourt said. Atleo also said a First Nations education act must put First Nations "in the driver seat, designing the delivery and implementation of education." Education reform must also include "support and respect for our languages and our cultures," the national chief said. The 2011 national household survey showed that 48.4 per cent of aboriginals aged 25 to 64 had a post-secondary education, compared to 64.7 per cent of non-aboriginals. Of those aboriginals with post-secondary education only 9.8 per cent had a university degree, compared to 26.5 per cent of non-aboriginals. First Nations education reform is expected to be featured in Wednesday's throne speech, and will also be the centrepiece of this government's aboriginal policy. Valcourt said aboriginal policy will focus on education, skills development and improving the lives of aboriginal families living on reserves. The minister explained that his department published a "blueprint" for First Nations education in July at the request of First Nations leaders and stakeholders. Publishing a draft of the legislation this summer was not only a way for the federal government to show that it was being "transparent" with First Nations, but "more importantly," Valcourt said it was to show "that we were listening." The "blueprint" follows on the work of the 2012 national Panel on First Nation Elementary and Secondary Education, and following months of consultation. "The aim of this is to ensure that we have a system which we don't have right now," the minister said. Valcourt said he spoke with James Anaya, the UN special rapporteur on the rights of indigenous peoples, on Tuesday about First Nations education and other topics. Young aboriginals are the fastest-growing demographic group in the country, making it crucial to give them the same opportunities for education as non-aboriginal students, the minister said. "It is imperative that in terms of skills development and jobs training, that we do all we can to ensure that this fountain of human resources on reserves can benefit all of Canada by their good work," Atleo said. Despite the current opposition to the proposed education reform, Valcourt said the federal government is making progress with "willing First Nations." NDP Leader Tom Mulcair said he offered Anaya constructive criticism when the two met Tuesday afternoon. Anaya is now on his third day of a nine-day visit to gauge the progress Canada has made since 2004, when his predecessor made the last trip here.